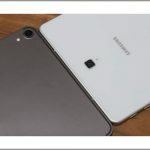 Home Resources Tablet Vs Laptop: What Are the Differences, and Which One Is Best? If you’re in the market for a new portable computer, it might be overwhelming to choose between a tablet and a laptop. Which device is best for you completely depends on your personal preferences and needs. 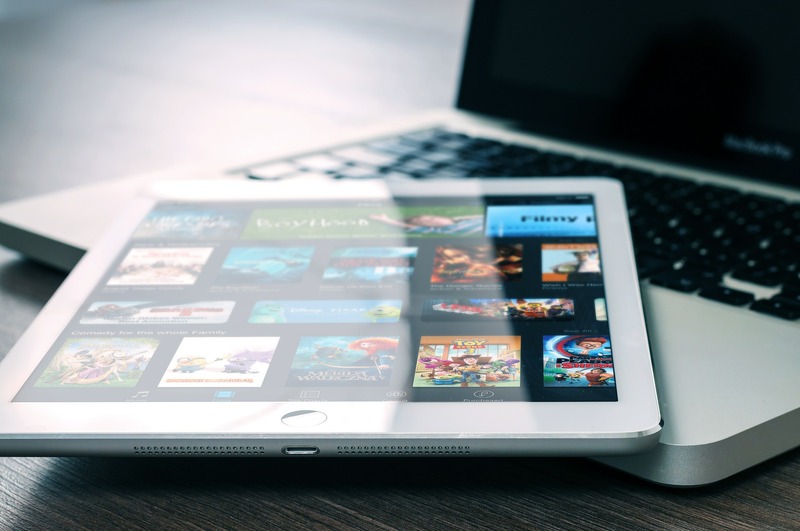 Whether you are a student or professional, a gamer, or just an average human looking for some portable entertainment, there are pros and cons to both tablets and laptops that you should consider before making your purchase. Continue reading our tablet vs laptop guide to determine which of these devices is best for you. Tablets are designed to be extremely portable and easy to use with just the touch of your finger. These devices should be small and light enough to fit in your hand, so you can easily hold them for long periods of time. Tablets normally run off an Android operating system or iOS, so the interface of each device looks and functions like your smartphone does. 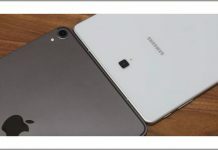 Some tablets can even connect to your cellular network, making them feel very much like a larger smartphone. 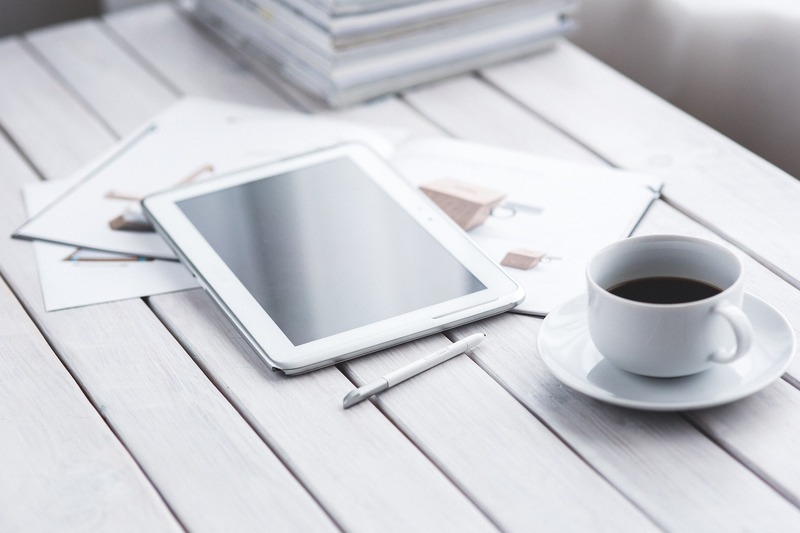 If you were to simply look at the physical appearance of a tablet, then you would likely see an 8-to-10-inch screen contained in some sort of plastic, metal, or rubber. Tablets often have a visible built-in camera, microSD card slot, headphone jack, and charger port. Tablets are ideal for entertainment and some other basic productivity needs. A laptop is like a portable PC that comes fully assembled with a screen attached to a keyboard and touchpad. Laptops can essentially replace desktop computers and run off the same operating systems. They can even be set up with docking systems that allow you to connect external monitors and keyboards. Also, a laptop’s screen can fold into the keyboard, making it super easy to travel with. Laptops come in various styles and designs. There are some laptops with very large screens while there are others with much smaller screens. These smaller laptops are called notebooks and are comparable in size to larger tablets. With screen sizes that average between 14 and 16 inches, laptops are significantly larger than tablets are. The smallest possible laptops typically are slightly less than 12 inches while the largest laptops are about 17 inches. On the other hand, tablets can be as small as 7 inches and typically are less than 13 inches. Tablets are much thinner, too. Laptops are also heavier to carry around with you while tablets are designed to be light enough to hold in your hands. The average weight for a laptop is five pounds, with the absolute lightest laptops weighing in at around two pounds. Tablets are often lighter than two pounds, and many weigh less than a pound. In all aspects, a tablet is much smaller and more portable than a laptop is. There are many tablets that are so small they can easily fit into your purse or backpack, whereas even the smallest of laptops might take up too much space. Laptops come with keyboards and touchpads, and tablets come with touchscreens, right? Well, sort of. Things get a little complicated when you consider the 2-in-1 tablets on the market that include keyboard attachments. Many tablets can connect to compatible Bluetooth keyboards, as well. While these keyboards might be useful for enhancing your tablet, they often are much smaller and more difficult to use compared with laptop keyboards. Although most laptops only take input from their keyboards and touchpads, there are even some laptops with touchscreens, as well. While touchscreens are useful to have on laptops, they are designed primarily to add extra convenience to computer navigation and would likely not be used for playing games or typing. One of the most significant differences between laptops and tablets is the software used to run them. Tablets are most commonly run with either an Android operating system or Apple’s iOS. Laptops are most often run with the Windows operating system or the Mac OS, which are the same operating systems a desktop computer uses. Laptop operating systems are designed differently from a tablet’s and typically are more capable of running powerful applications. You will have a much easier time surfing the web, as well. Tablets are more limited in their applications and have interfaces designed for use with touchscreens. Their operating systems are created with apps in mind. While on a laptop you might easily open your email, watch videos, and check social media all from your web browser, a tablet has applications for each of these activities so you can avoid having to open the browser. In general, laptops perform much better than tablets do. Laptops will be faster and more capable of doing what you need them to do. Laptops have better processors, more RAM, graphics cards, better CPU, and more internal memory storage. Even the best tablets will struggle to compete with an average laptop’s specifications. One area where tablets perform better is the battery life. It’s not that tablets have more powerful batteries; they just have less hardware to power. When looking at what you can do with a laptop and a tablet, there isn’t really a straight answer for which is better. A laptop can play DVDs and has USB outlets, HDMI cords, and more. You can connect flash drives and your other devices to laptops. However, many tablets are now equipped with amazing cameras and can be used with styluses, which is great for photographers and artists. You can even take handwritten notes with a stylus on many tablets today if you prefer writing over typing. Laptops often come with webcams that can also take pictures, but the quality is much worse compared with tablets' cameras. 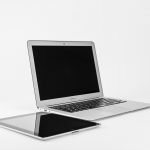 In general, laptops tend to be more expensive than tablets are, but it really depends on the brand and the quality of the device. You can buy an entry-level budget tablet for less than $100 and can even find a rather decent tablet for close to $200. If you are looking to buy a higher-end tablet, you can expect to pay a lot more. Apple is known for selling the best tablets you can buy. While its iPad is rather affordable at $329 for a quality 32 GB device, the iPad Pro can cost over $1200 depending on which option you choose. Although you can pay as little as $200 for a budget laptop, people often spend between $600 and $1500 for a high-quality laptop. However, the cost can be well beyond this if you are purchasing an extremely powerful laptop, a Mac, or a gaming laptop. Some of these laptops cost close to $3,000. These laptops are much more powerful than even high-end desktop computers are. Where Will You Be Taking Your Device? Whether or not you plan on taking your device with you to work, school, or wherever else you may go plays a big factor in which device you should choose. If you plan on taking your device with you on trips or on your everyday outings, then you’ll definitely want to bring a tablet. Most tablets can easily fit into your carry-on or purse and don’t need to be set on a surface to use. If you are a student, then a laptop can be very inconvenient to lug around with you. The standard 15-inch laptop is hard to fit in most bags, and you may have to buy an extra case to take it with you. Your laptop might not easily fit on a small desk, which can make taking notes on it annoying. In this case, a small notepad laptop would be a great choice. 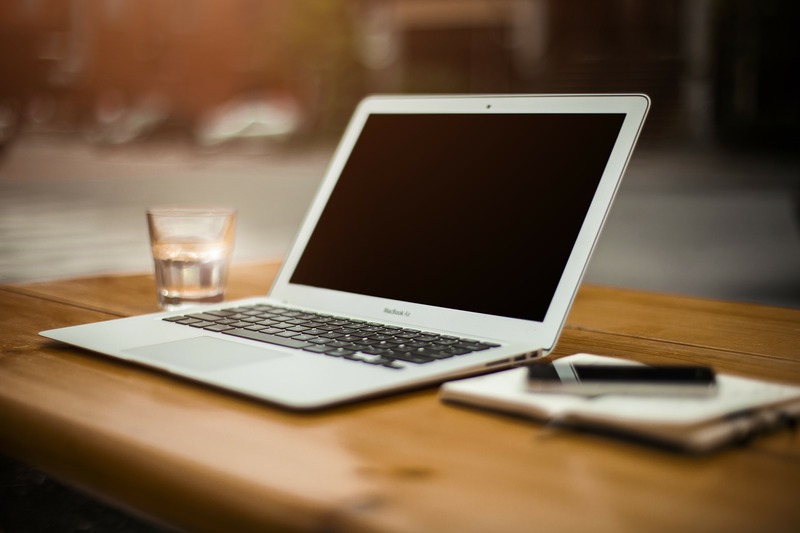 If you don’t have a desktop computer, and you need a device that you will primarily use at home, then a laptop is the best choice for you. Plus, you have the option of taking it with you in the future if the need arises. 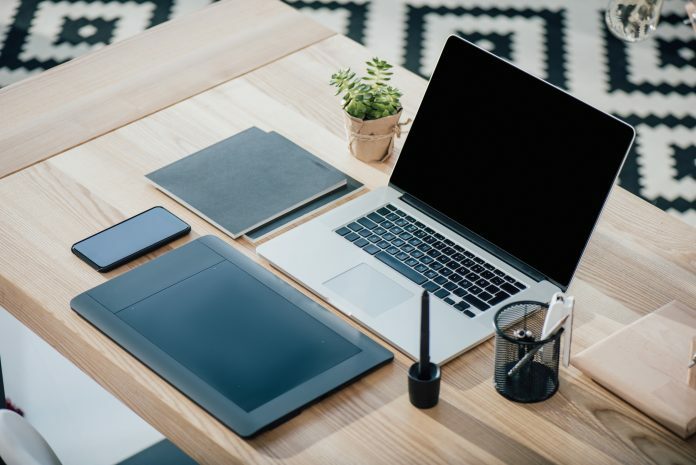 However, if you already have a good desktop computer and just want a portable device to use around the house, then the tablet is the better option. If you will be the only person using the device, then either a tablet or laptop will do. If you have young children and want to get them a device of their own or even one to share with you, then a tablet is the best choice. There are many different types of tablets out there that are made with children in mind. These tablets are often extremely durable even without a case and have shatter-proof screens. Often, these tablets come with some sort of kids’ mode that lets children see only child-friendly content, prevents in-app purchases, and gives parents control over what their child can watch and how long they can play. Tablets are also full of tons of great educational and entertaining apps for children. It is often very easy for toddlers and young children to understand how to use the tablet, so they won’t need constant supervision from parents. Laptops would likely be much more difficult and unsafe for children to use. Plus, they often aren’t child-proof, so you would have to worry about your expensive laptop getting broken. If you are sharing your device with older children or adults, then a laptop might be a better choice. Laptops often come with way more memory space than a tablet does, so they can fit all of your family’s individual data. It might be useful to get a laptop that has a multi-user function so everyone can keep his or her information private. With a laptop, everyone in the family will have the ability to access the internet and write documents for school or work. If your children like to play games such as Candy Crush, Fruit Ninja, or other similar mobile apps, then there are several laptops that have touchscreens and these apps available to install. If the family already has a desktop, and you just need an extra device for entertainment when no one can agree on the same show to watch, then a tablet will do the trick. If you’re worried about space then you can spend the extra money on a tablet with lots of storage or buy a miniSD card for tablets that take it. What Will You Be Using Your Device for? Laptops and tablets have very different capabilities and perform very differently. You need to consider which features are important to you and which ones you can do without. If you only need a simple device that can be used to watch videos, check your email, listen to music, shop online, or read e-books, then you should really just go with a tablet. While laptops can perform all of these functions too, they can be done more easily on a tablet. Having all of your apps displayed on the tablet makes it easy to quickly get to the application you are looking for. All it takes is a swipe and a few taps of your finger to open the app and get it going. Plus, there’s no need to spend extra money and space on a larger device when a smaller, cheaper one meets all of your needs. If you are a professional or a student, then a laptop is definitely the best choice. You will want a device that easy to type on, efficient to browse the internet on, and powerful enough to run any programs you may need. With a laptop, it is easy to multitask, so you can have your word processor up with your web browser running next to it. Trying to type a document on a tablet’s touchpad is extremely inefficient and annoying. Although you could get a Bluetooth keyboard for your tablet, these keyboards are small and hard to type on quickly. Plus, mobile word document apps have way fewer features than a typical word processor does. While you could try to use your tablet for work or school, a laptop would be much more convenient. When it comes to gaming, laptops are superior. There are few quality games that you can play on a tablet, and you won’t be able to play any popular, complex games you could play on a console or PC. Although a tablet is a step above a phone when it comes to playing games, it is nowhere near as good as a PC is. An average laptop is capable of playing a lot of games — even popular games such as Minecraft. However, it may not have the hardware to play some of the more demanding games, including Battlegrounds or Grand Theft Auto. For games such as these, you’ll want to purchase a gaming laptop. These laptops are more expensive than a typical laptop but are equipped with much better graphics cards and the ability to play whatever games you want. For art and photography, a tablet is sometimes better. Tablets are equipped with decent cameras, and there are some great programs for editing photos and videos on your tablet. While there are also countless editing programs for a laptop, using a tablet only requires one device for the entire process. No need to download your photos or videos from your camera or phone. Also, tablets are great for drawing since they have a touchscreen. If you are buying a tablet for drawing, then you will need to buy one that is compatible with a stylus. There are also touchscreen laptops that fold backward that are good for drawing. If you want to buy a device at the cheapest price possible, then you will obviously want to go with a tablet. With so many choices under $200, you’ll be able to pick the best budget tablet you can find. The only laptops that are cheaper than $200 are very low quality, and there are only a small number of them. If you are willing to spend $600 on a device, then a laptop would be a better choice for you. There are few tablets, including the iPad Pro, that are amazing but cost well over $600. If you are willing to spend that much on a device, then you’re better off just getting a laptop. As you can see, there are many benefits to both of these devices. If you’re looking for a portable device for entertainment, then go with a tablet. If you prefer functionality and high performance over a lightweight, easy design, then buy the laptop.